Piper Kerman is vice president of a Washington, D.C.-based communications firm that works with foundations and nonprofits. A graduate of Smith College, she lives in Brooklyn. 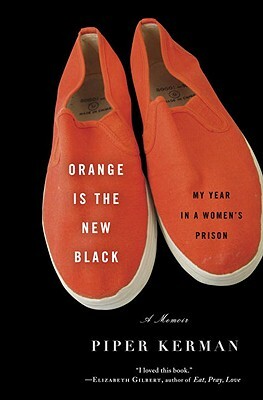 "In Orange Is the New Black: My Year in a Women's Prison, Kerman puts us inside, from the first strip search...to the prison-issue unwashed underwear to the cucumbers and raw cauliflower that count as salad.... This book is impossible to put down because she could be you. Or your best friend. Or your daughter." "Kerman neither sentimentalizes nor lectures. She keeps the details of her despair to a minimum along with her discussion of the outrages of the penal system, concentrating instead on descriptions of her direct experiences, both harrowing and hilarious, and the personalities of the women who shared them with her."